Easy-to-sand surface can be finished to 80 grit or given a machined primer surface and sanded to a finer finish. 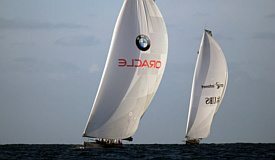 Male or female shapes are available depending on application and geometry provided. Machined pattern fabricated out of block foam, MDF or modeling board. Medium Density Fiberboard (MDF) wood is stable at higher temperatures than putty, however the surface finish may be rougher. 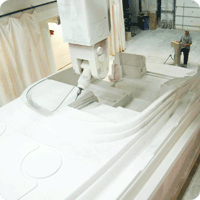 MDF is also a suitable material for casting patterns. Foam patterns can also be provided with a primer finish. 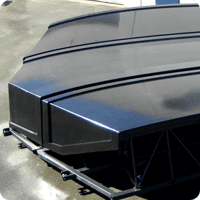 A wide variety of foam materials and densities are available depending on your application. 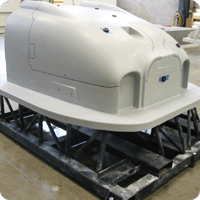 Using JI’s putty material system, we make short run molds for one-off or short-production production runs. 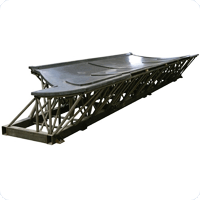 By shipping in segments and assembling onto a steel frame, there is virtually no limit to the size of the part. 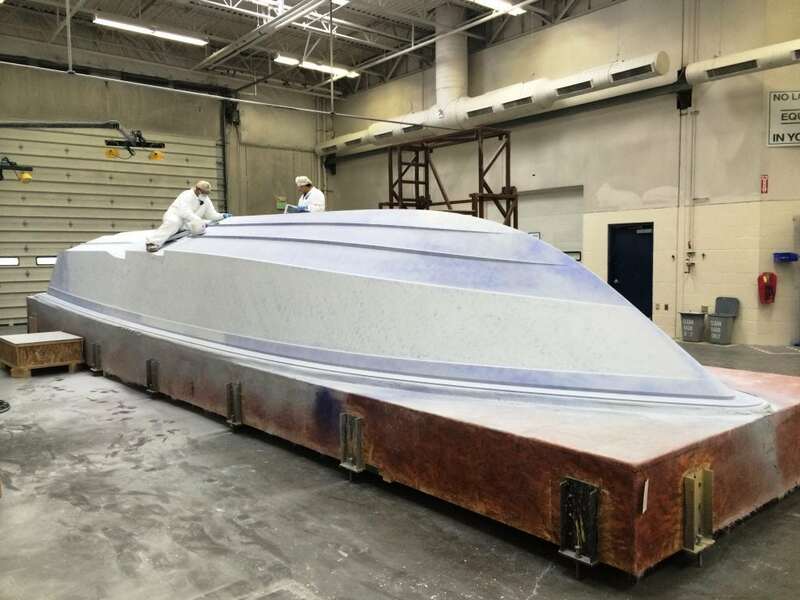 Janicki’s Gel Coat tooling is designed with hard, durable, high-gloss surfaces required to produce superior grade products for marine, transportation and architectural industries. 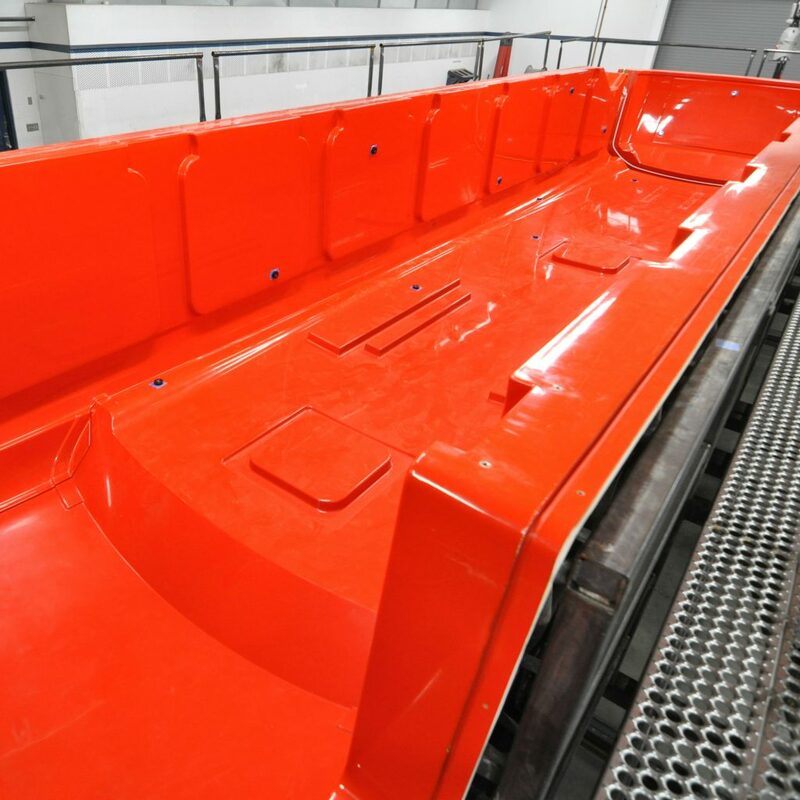 Our Gel Coat molds have mirror-like finish, that are scratch and craze resistant for producing products with high-quality finish. 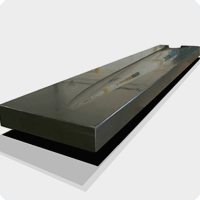 Janicki Gel Coat molds are made of fiber-reinforced composites low shrink performance polyester resins using infusion or open molded processing in a typical thickness of 0.625 inches. 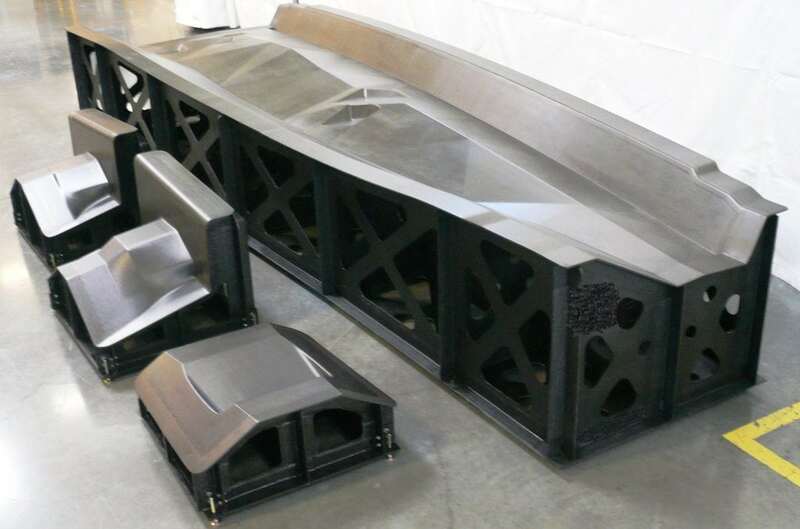 Molded from machined patterns; built to customer specifications. 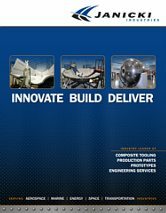 Composite consists of varying thickness fiberglass layers, a rigid balsa or foam core, and a durable tooling gel-coat finish. 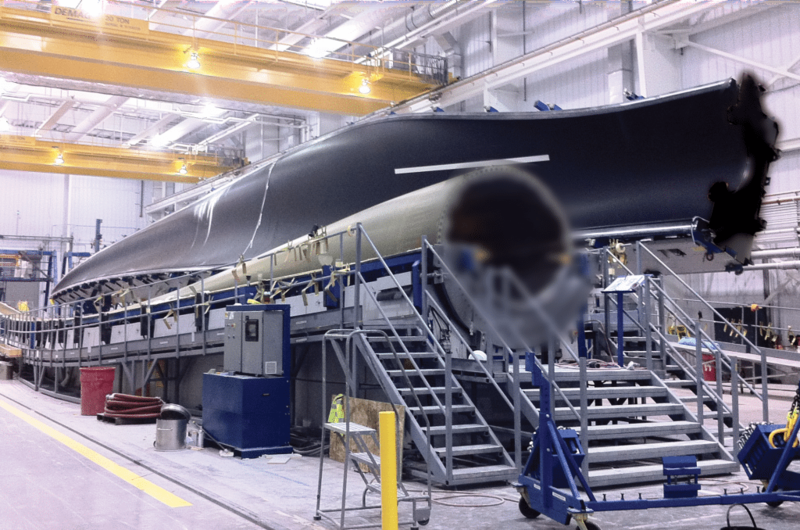 We have engineered FRP mold systems up to 220 feet in length. 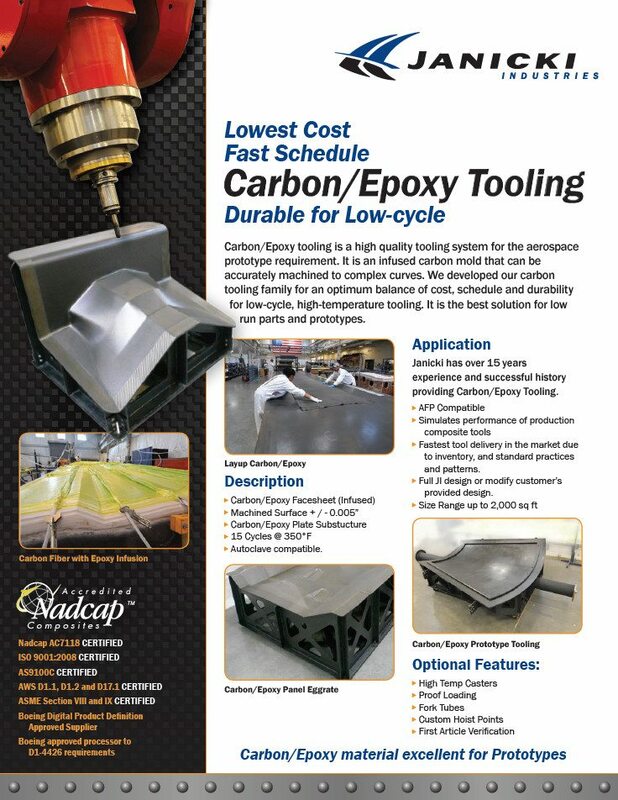 Carbon fiber or fiberglass composite tools, surface finishes optional depending on customer needs. 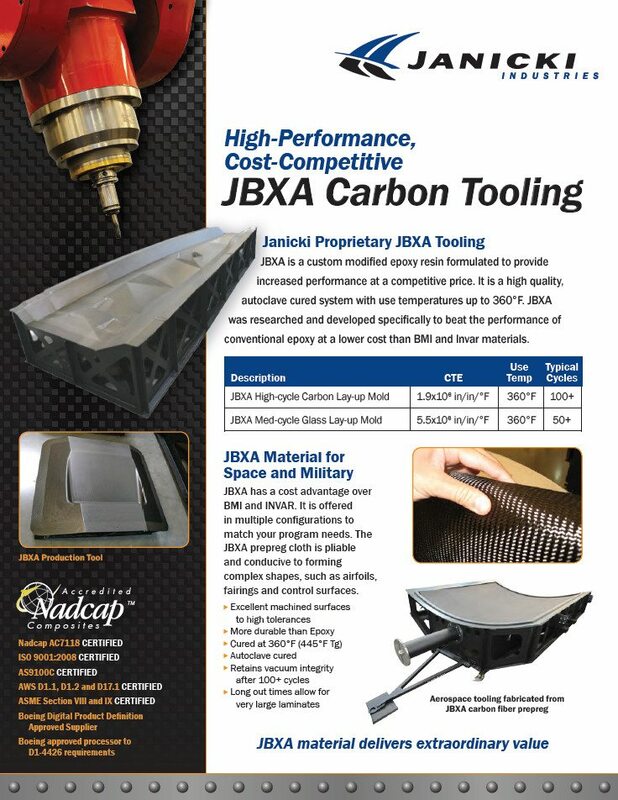 Our 350° tools are a carbon fiber or fiberglass tool infused with an epoxy resin formulated to customer specifications. These 350° tools are available in two variations: cast and machined. Machined tools allow for the maintenance of higher accuracies. These 350° tools are provided with laser tracking and vacuum verification is performed to ensure conformity. 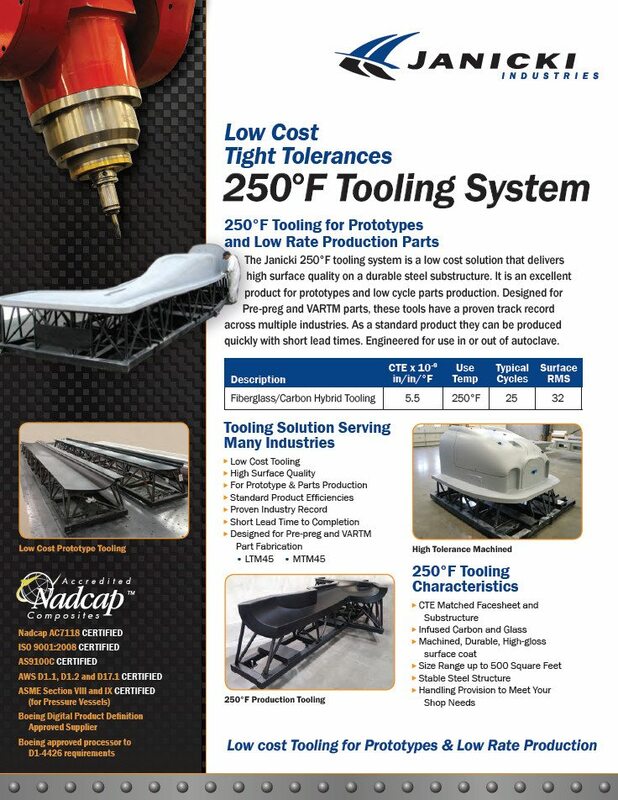 Cast 350° tools are infused on a highly accurate machined pattern and produce an accurate tool with optional surface finishes. Machined 350° tools are infused on a pattern and machined on its support structure with our 5-axis mills.